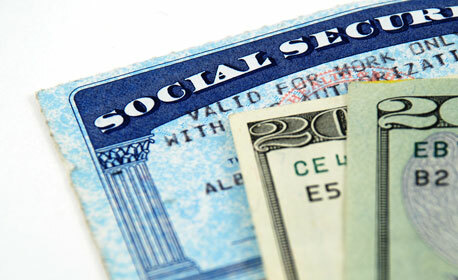 Many people seeking Social Security benefits apply and go through the entire process without ever realizing that there is a method to the madness. 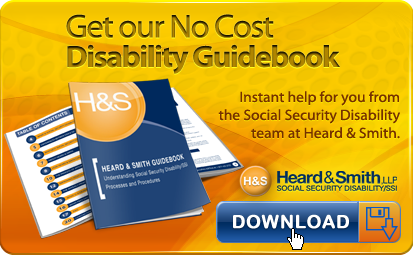 The Social Security Administration uses a strict five-step process to determine whether an individual is disabled or not. It’s a sequential process that is dependent on completing each step in order. Step 1: Determining whether or not you’re working at Substantial Gainful Activity, also known as SGA. Many people believe that if they are working, they will not qualify for benefits because disability benefits are for those who cannot maintain a job. It’s not quite that simple. You may be able to work, but not be able to work at a job that is both “substantial” and “gainful.” “Substantial” means the work involves significant physical or mental activities, and “gainful” means you work for pay or profit (whether or not you actually make a profit). •	Generally, although there are exceptions, if you are working and making more than a certain amount, you will not be found to be disabled. The amount is set by regulations and changes annually ($1,040 in 2013) so it’s important to tell your lawyer if you’re working, how many hours you’re working, and how much income you’re making. If you are not working at all, or not working at SGA, you can pass this step and go to Step 2. Step 2: Determining whether or not you have a medical condition that is severe, or a combination of medical conditions that are severe. Social Security will find that your condition, or a combination of your conditions, is severe if they significantly limit your ability to do basic work activities. If the evidence in your case only proves that your condition (or combination of conditions) would have very little effect on your ability to do basic work activities, you won’t pass this step of the process. •	This is a good reason to hire an attorney. Your attorney will work with you to gather all of your medical records and submit them to Social Security. If Social Security finds that you have a severe medical condition or that a combination of your medical conditions are severe, you can pass this step and go to on to the next one. Step 3: Determining whether your medical condition, or a combination of your medical conditions, “meets or medically equals” the criteria of an impairment. The impairments are listed in the Social Security Administration rules call “the listings.” This legally dense step can be explained in simple terms: Social Security has compiled “the listings” which detail all of the medical conditions Social Security accepts as disabling. •	If you can prove that you have one of the medical conditions at the level described in the listings, or if you can prove that your combined medical conditions cause you to have problems equal to the conditions in the listings, then you will be found disabled and you will get your benefits. 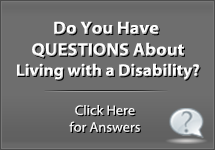 •	People who meet a listing and are found disabled do not have to continue past this step. •	If you cannot find a listing that meets your condition(s), then you must move to the next step in the process. “Past relevant work” is the kind of work you did for long enough to have learned to do the job and to have had “SGA” (“Substantial Gainful Activity” from Step 1) in the last 15 years, or for 15 years before you became disabled. Basically, Social Security must figure out your ability to do physical and mental work activities on a sustained basis. 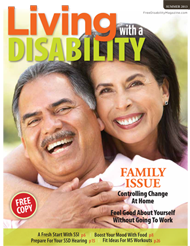 •	To do this they consider all of your medical conditions (including those Social Security may think are not severe) and whether your conditions leave you with the ability to do the kind of work you did before you became disabled. 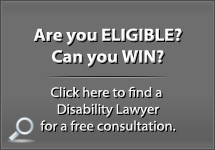 •	If you are found capable of returning to past relevant work, you would be denied and not be found disabled. •	If you are unable to do the kind of work you used to do, or if you do not have work history that qualifies because you didn’t do it long enough, you move onto the final step. Step 5: Determining whether you can do any other work, considering your “residual functional capacity,” age, education, and work experience. Simply stated: If Social Security finds that there are other jobs you could do, then you are not disabled. If Social Security finds that you cannot do any other work, and your condition is expected to last 12 months or more, then you will be found disabled and you will get your benefits. •	At this step the burden of proof shifts somewhat to the Social Security Administration. They have to provide evidence that other work that you could do, given your residual functional capacity, age, education and work experience, exists in significant numbers in the national economy. 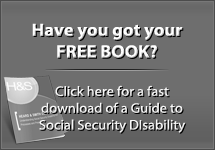 •	If Social Security thinks you are capable of working in any position, then you will not be found disabled. •	If you are found incapable of working anywhere, you will be found disabled. Disability cases follow a process complicated by the fact that everyone’s circumstances are different. Be sure you know these answers: Do your medical conditions meet a listing? Are you working at SGA? What is your residual functional capacity, and is it diminished enough for you to be found unable to work at steps 4 and 5? 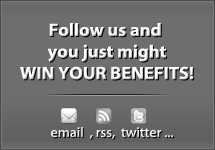 Ultimately, the Social Security Administration will decide these answers, and your case.